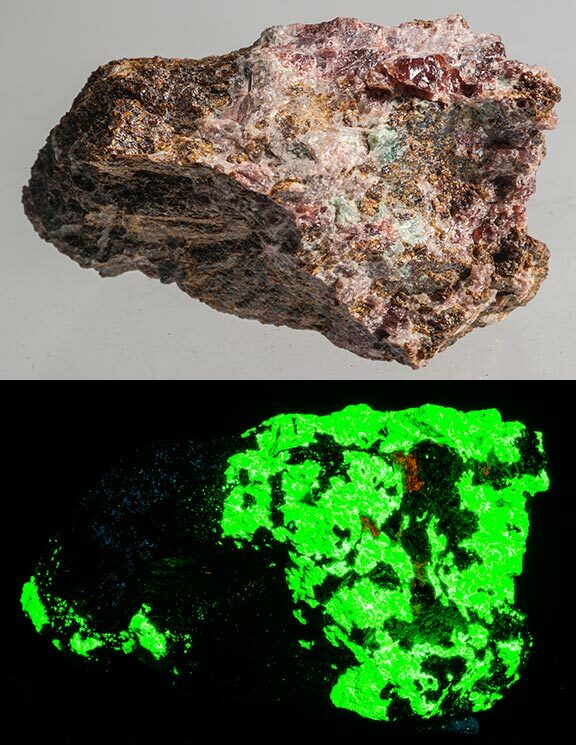 I chose pieces that would sell to nonfluorescent mineral collectors for their rarity and beautiful aesthetics. The fact that they fluoresce makes them that much better. 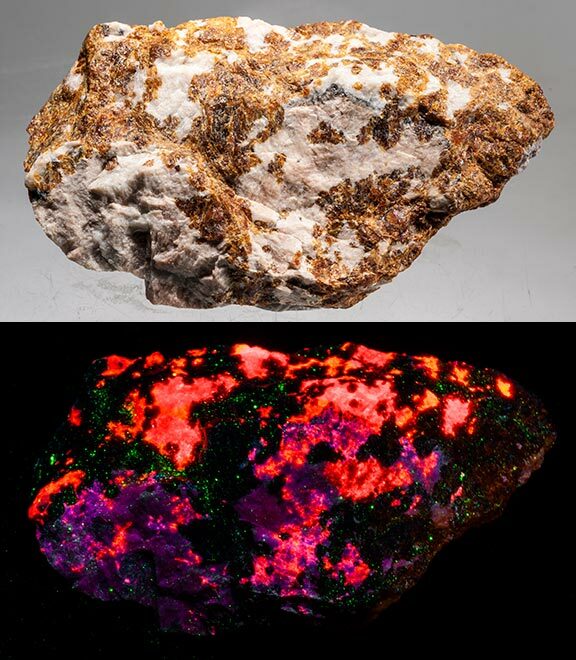 It is always a challenge to find the most attractive fluorescent pieces, so if you appreciate pieces for your collection that can awe in daylight and wow in UV light, this group is it. 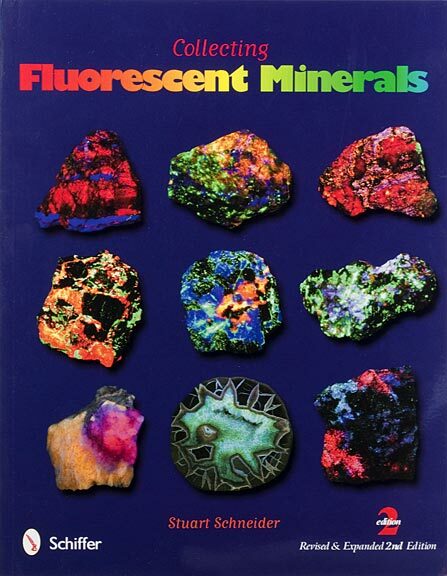 The Second Edition of Collecting Fluorescent Minerals gets great reviews. Errors in the first edition that were brought to my attention by FMS and FOMS members were corrected. There are also new, never seen before, pieces in the second edition. It has a blue cover with photos rather than the black cover. You can order a copy from me for $28.00 postpaid (in the US) if your local bookseller doesn't have one. 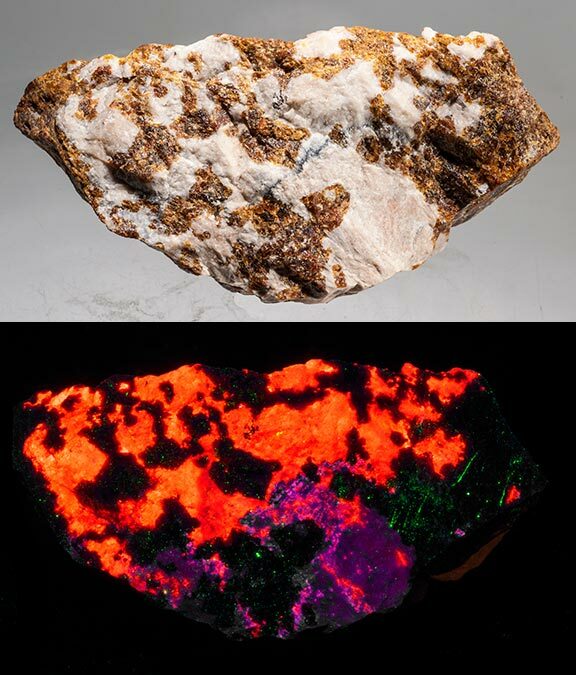 Minerals and books can be purchased using personal checks, money orders, and Paypal. My address is Stuart Schneider, 820 Kinderkamack Road, River Edge, NJ 07661 and my Paypal name and email address is Stuarts1031@ erols.com (note, I put a space in my email address so that automatic email harvesters don't get my email address). Postage and handling, and insurance (if you want it) will be added to your order once the weight is figured. I mail using the US Postal Service with delivery confirmation. Email me to reserve the item numbers that you want and don't forget to include your name and address if you are a new customer. Terms: You can return any item to me within 10 days for any reason. If I misdescribed it, I will refund your postage both ways. If you are dissatisfied, you pay postage both ways. All photos are taken under daylight and Short Wave or Long Wave Ultraviolet (I use a SuperBright brand light). If your light is more than a few years old, the item may look bluer than it looks here. 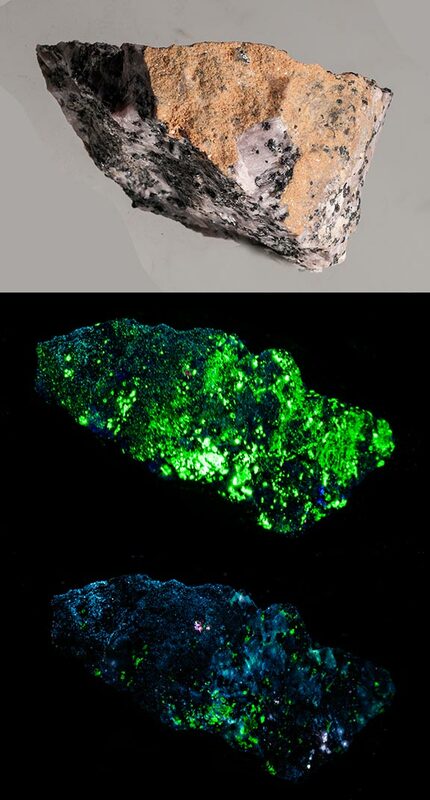 NF = non-fluorescent. These pieces can be purchased using personal checks, money orders, and Paypal. My address is Stuart Schneider, 820 Kinderkamack Road, River Edge, NJ 07661 and my Paypal name and email address is Stuarts1031@ erols.com. Postage and handling and insurance (if you want it), will be added to your order once the weight is figured. I mail using the US Postal Service with delivery confirmation. Email me at Stuarts1031 at erols.com to reserve the item numbers that you want. Books #3 on Flashlights, Picture Frames & Halley's Comet | Ghosts In The Cemetery| Waffle Recipies| Links Copyright 2013 - 2018 by Stuart Schneider. Do not use any parts of these pages without written permission.